After meeting two Indian IT giants in the form of Infosys and Wipro to talk about their plans for cloud computing, I have turned to a European giant in the form of Capgemini. I met up with Cagemini’s Greg Hyttenrauch who heads up the UK outsourcing business. We started the conversation talking about Cap’s new Infostructure Transformation Services (ITS) business arm. ITS is another layer on the Capgemini cake. This layer will be the contact point for customers that want cloud computing services. Because cloud computing crosses Capgemini’s different arms it wanted an organisation that gives the customers a single point of contact. The company has done some thinking which became clear after a few minutes talking to Greg. There was lots discussed but I will focus on one concept in this blog post. Why not sell the raw computing power you do not need? 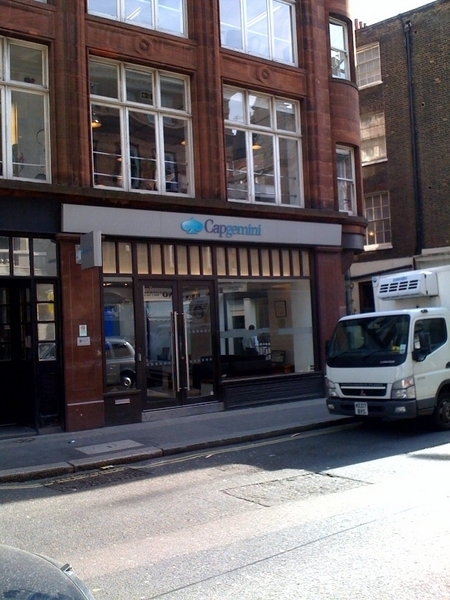 Capgemini could virtualise a customer’s datacentre and free up 50% of the computing power. This could then be segregated through security technology and made available to other customers of Capgemini if they require more raw computing power during peak demand. This solves major problems for two types of companies. In retail you have very large retailers who spend millions on ensuring they have enough computing power to cope with the highest possible demand. They always have this in place just in case, but probably only need it at Christmas. But they pay for all the hardware and continuous power and maintenance. But instead of this they can pay for an average computing power and allow Capgemini to make the rest available to other businesses, the customer can also plug into the cloud to get access to more when required. A small retailer which cannot afford to pay for a large IT infrastructure will be in trouble during peak demand. But if it is linked to a cloud it can call on the resources when required. At first I thought no company would want to give other companies, including competitors, access to computing power. But then I thought, why not? It is just raw power and after all we share electricity providers. And the big companies are benefiting from significantly lower costs. I will be covering some of the other stuff we talked about, including breaking up applications into pieces and repackaging them, in another article with some of the other things Wipro and Infosys are doing.